Streamlined and contemporary, the Salt Lake end table hits the mark of both fashion and function. The brushed pewter open leg accented with the burnished natural ash top is a fantastic way to bridge multiple styles in your home. Use it bedside to hold books, electronics and a table lamp or alongside your sofa to display an assortment of decorative accents. 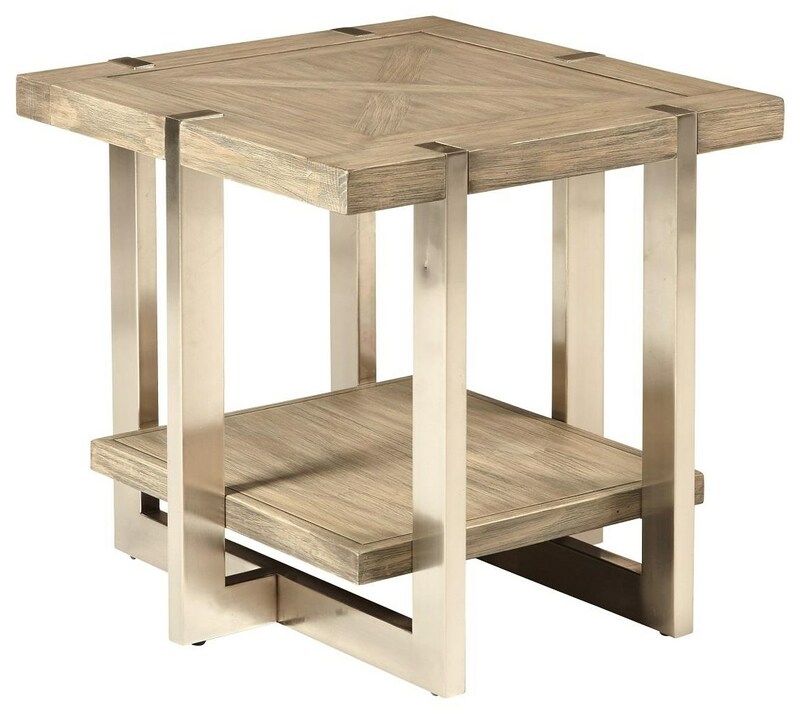 The Salt Lake End Table by Home Insights at Great American Home Store in the Memphis, TN, Southaven, MS area. Product availability may vary. Contact us for the most current availability on this product.